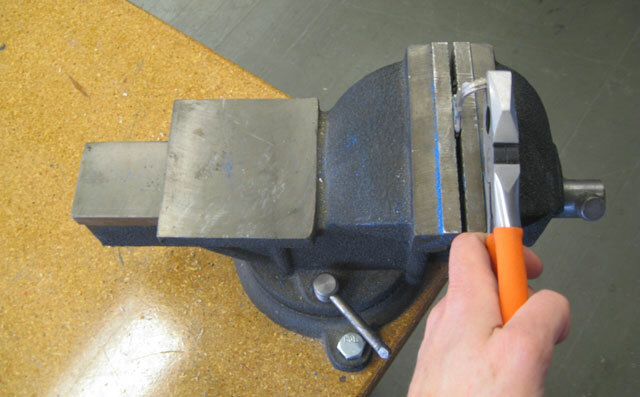 Step 1: Place a key in the vise and carefully bend the stem into a hook with the pliers. If you donâ€™t have a vise, bend the key by gripping the stem with the pliers and pressing the head against a hard surface. Repeat with the remaining keys. (Note: If you are using very old circular keys, you will need metal working equipment to heat and bend them).